applications in medical suction field to collect the organic fluids. 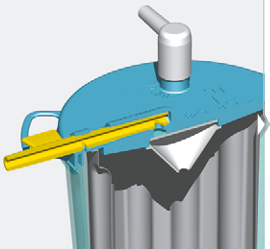 The FLOVAC® HYDROPHOBIC disposable containers fit in the lid a hydrophobic filter GORE® Microfiltration Media for Surgical Suction acting as an overflow valve and giving full antibacterial, anti-foaming and electrosurgical smoke protection. 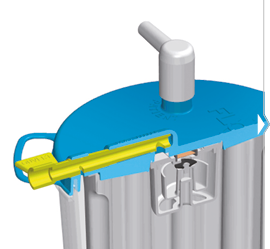 The FLOVAC® MECHANICAL VALVE disposable containers fit in the lid a floating valve with integrated antibacterial filter to protect the plant from any contamination.